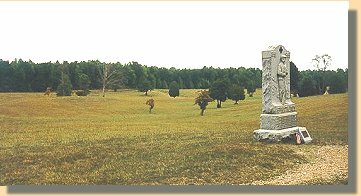 It was at the Bloody Angle [ (1) on the map below ], which is a part of the Confederate "Mule Shoe Salient ", that the Federals initiated the most famous action at Spotsylvania on May 12th. 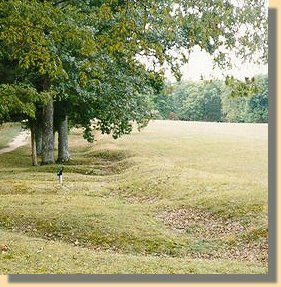 For 20 hours, the soldiers struggled in hand-to-hand combat through mud and gore across this bend in the Confederate lines. Salient including the Bloody Angle(1). This map is roughly based upon the National Park Service's "Spotsylvania History Trail" brochure. 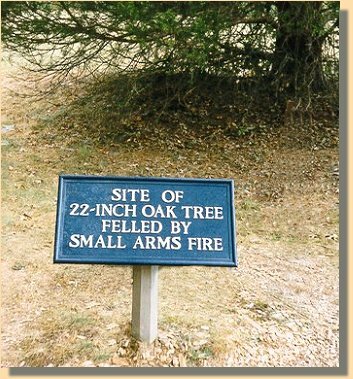 The numbered dots on the map indicate locations where the photographs on this site were taken. Using the numbers ( ) at each photograph, or group of photographs, and referring back to the map, you may have a better understanding of the battlefield. 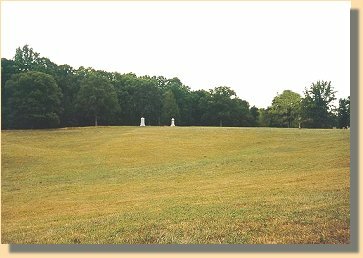 Confederate view (1) from the Bloody Angle. Union View (4) towards the Bloody Angle.